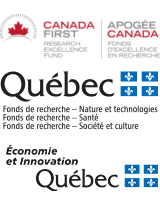 As part of the HBHL-Mitacs partnership, a special joint initiative has been organized to send students from McGill University to Chinese and Japanese academic institutions, and bring in students from these international universities to McGill. This is part of Mitacs' Globalink Research Awards program. This program provides awards valued at $6,000 CAD for travel and accommodation costs for Canadian students to undertake collaborative research projects at international institutions. Click here for more information about the opportunities in China and Japan. If you have any questions about the logistics of this opportunity or would like to apply, please contact Dr. Noha Gerges, Business Development Specialist from Mitacs at ngerges [at] mitacs.ca or 514-607-8978.